Can you believe Thanksgiving is just around the corner? Every year we host both my family and Scott's at our house. It's not because we have a huge house with a dining room that seats all and definitely not because I am a master at roasting turkey. It's because I really like leftovers. Okay, I admit it. I will gladly take your last scoops of macaroni and cheese and freeze the rest of the stuffing for another day. I am happy to get creative with Thanksgiving leftovers for another week after turkey day. 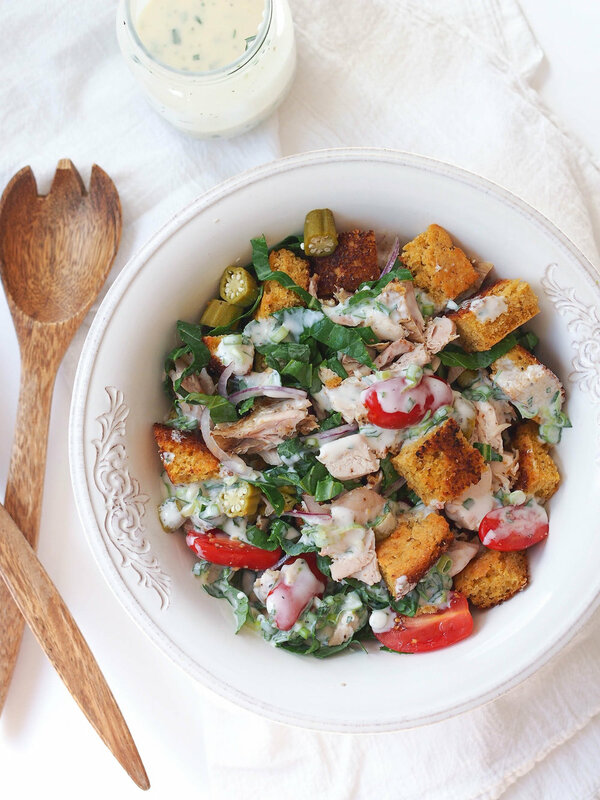 This turkey and cornbread panzanella with buttermilk dressing is a fresh way to use up leftover turkey and cornbread. Perfect after tons of rich casseroles and cheese! It's inspired by a southern panzanella at this little deli near me that I'm obsessed with, except they use fried okra instead of pickled okra - yum! 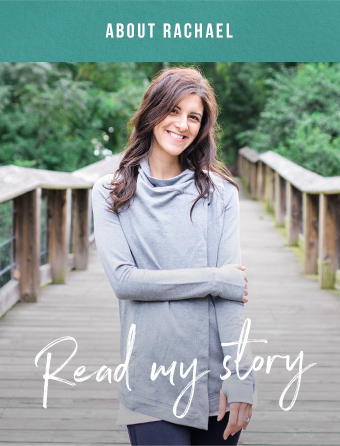 Today, I'm guest posting on Lean Green Bean, who had her little green bean just a few weeks ago! Head over to her blog for the recipe!